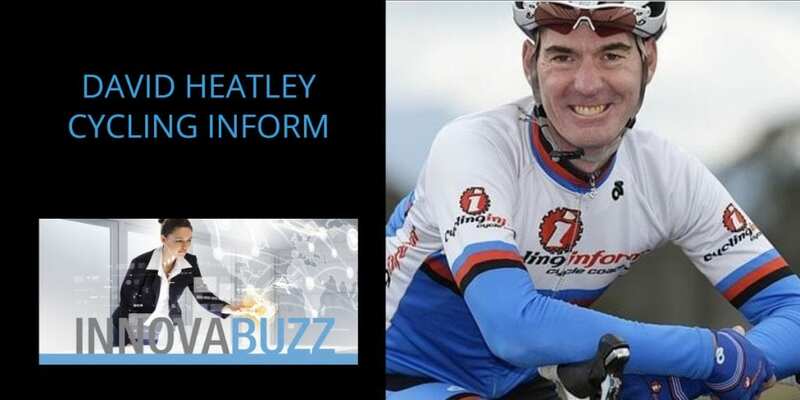 In this episode number 20 of the InnovaBuzz podcast, my guest is David Heatley of Cycling Inform – an online cycle coaching company which David and his partner Jodie have transformed from a one on one coaching service to an online membership model with great leverage and they’ve achieved massive growth of their business as a result. This is a fascinating episode where David tells us how he has gained that leverage – there are a lot of lessons for all of us in this interview, so stay tuned. Before we meet David, a quick competition announcement – this week’s competition prize is a copy of The Automatic Customer by John Warrilow. These days, subscription businesses are not limited to newspapers and magazines as in the past, and Warrilow’s book talks about the secret to finding and keeping automatic customers, so stick around for details on how you can enter the draw to win that competition prize later on in the interview. David worked in IT as a Senior Project Manager and he has an engineering background, but left a lucrative career with one of the largest Telecom companies in Australia, to pursue his passion for cycling and running his own business. Being a real passionate cyclist led him to start Cycling Inform, starting from running boot camps and training camps and now, coaching services. The on-going revenue from a membership-based model not only keeps the cash-flow going, it gives David leverage to scale his business, provides location independence and opens up an international market for his coaching programs. Automation is a key part of the leverage that Cycling Inform get within their business. Another key to David’s success is adding enormous value to his clients. David’s number one piece of advice to anyone that wants to be a leader in their field, is to REALLY THINK BIG! Here are David’s answers to the questions of our Innovation round. Watch the interview to get the full scoop. #1 thing to be more innovative – Part of that has got to do with asking the right questions of yourself because I know that with people, if you start asking the wrong questions, you know your mind is very creative and will still find an answer to the wrong questions – so key is to ask the right questions, for example, how can I do this better, or how can I remove this issue by automating the process. Best thing for new ideas – For me it’s been talking to great mentors. And then get out of your comfort zone and do the awesome but uncomfortable things. Favourite tool for innovation – Well, we use Infusionsoft. We use it to manage basically everything. We use it to manage our member’s area, all our marketing, our automation, our business. Keep project / client on track – The most fundamentally important thing is the scope of the project – clear definition of what’s in and what’s out. For your own project – start with the minimal viable product, get feedback and improve as you go. Differentiate – Make sure that what you’re delivering is unique and that it’s really hard for the other competitors to get into that space. Be the number one at it. Be the best that you can possibly be at doing that. Forget about all the stuff that you do ordinary. Just focus on doing something awesomely well. You can reach out and thank David via Cycling Inform’s Website where you can find the Contact Form at the bottom part of the site. Cycling tips are being offered here for free for all registrants. David suggested I interview Christie Hamilton of Benelds, who are an amazing small business automation consultancy. So, Christie keep an eye on your Inbox for an invitation from me, for the Innovabuzz Podcast, courtesy of David Heatley! Hint: To enter the competition, leave your comment underneath the video. Tell us about the pain points and frustrations that maybe prevent you or necessitate you to actually get more leverage in your business and the second thing, how can you build a community around that. Hi, I’m Jürgen Strauss from Innovabiz. Welcome to Episode No 20 of the InnovaBuzz Podcast – designed to help smart businesses with an interest in innovation and the Internet of Things become even more innovative. In this episode, my guest is David Heatley of Cycling Inform – an online cycle coaching company which David and his partner Jodie have transformed from a one on one coaching service to an online membership model with great leverage and they’ve achieved massive growth of their business as a result. This is a fascinating episode where David tells us how he has gained that leverage – there are a lot of lessons for all of us in this interview, so stay tuned. Now, let’s get into the Innovation Hive and get the Buzz from David Heatley. Jürgen: Hi. I’m Jurgen Strauss from Innovabiz and I’m really excited to have here with me today on the InnovaBuzz podcast all the way from Mansfield in the Victorian High Country, David Heatley who is a coach and also the business owner of Cycling Inform. David, welcome to the podcast. It’s a privilege to have you here. Jürgen: Now before we learn about David and all the fantastic things he’s doing in his business, a quick competition announcement. Today’s prize I think is really apt, given the topic. It’s a copy of the book The Automatic Customer by John Warrilow. These days virtually anything you need can be purchased through subscription, so in the old days you subscribed to newspapers and magazines, but today with the internet you can subscribe to things like supplies of groceries online or cosmetics or razor blades and as we’re going to learn today, also to your cycling and fitness programs. Now Warrilow’s book talks about the secret to finding and keeping automatic customers, as he calls it, so stay tuned later on in the interview to learn how you can enter the draw to win that prize. All right David, before we learn about some of the innovative things you’re doing at Cycling Inform, tell us a little bit about your background and let’s go right back to when you were a child. What did ambitions did you have? What did you want to be when you grew up? David: Well, I think my interest in running a small business was really fired up by a visit that I had to one of my uncles when I went for a bit of a cycling tour around New Zealand. I spent some time with one of my uncles and he ran a bakery business. He had a very nice house on top of a hill with his family and I compared that to my dad who was a public servant and really I realized very quickly that obviously the way to get ahead in life is to start up small business. That’s really been a passion for me and I’ve spent quite a bit of time doing research on small businesses. It wasn’t until I moved to Australia in the late 2000s and I was here for 10 years before I really decided on what I really wanted to do, which was around my passion for cycling, but in between that, I was running, part time, I was running a photography business. That was reasonably successful, but really one of the biggest issues with that is that you always do a lot of wedding photography and you don’t have your weekends free. David: That’s not going to work as something I want to step into full time, but as a kid I had a great passion for cycling and I really loved that. It’s great to be able to build a business around that. In that time when I moved to Australia I really moved into, well I worked in IT as a Senior Project Manager. I have an engineering background. I left school and started and finished electronics as my career and really that flowed on into the computer industry. When I stepped into Logic K projects when I lived in Australia just before 2000 – I was project managing those. The last seven years of my IT career I was working for one of the largest Telecom companies in Australia and I deployed the largest voice recognition platform. It’s actually for Telstra. That was a very big project. The voice recognition platform, the largest in the southern hemisphere, so if you ever ring Telstra, if you deal with a company that has a voice recognition service, guaranteed that it’s being delivered by the platform that I built for them. That was an exciting piece of work, but all that innovation has really gone into what I have today which we’ll talk about a little bit later on. Jürgen: A lot of the project management, that will be really good experience there. David: Oh yeah, definitely. IT Project Management is really a bit of an art and you can get wildly wrong results if you don’t know the basics about being able to manage sky scraper and project management and resource management and stuff like that. I think my foundation in IT and project management has really helped me be able to stitch together what we’ve got today. It’s been really good. Yeah. Jürgen: Now my audience or those that know me, know that I’m also a real passionate cyclist and I came across you, I think maybe it could have been 2005 or so. Were you running Cycling Inform then? David: Cycling InForm started in 2007 officially, so we started off running boot camps and training camps and now our coaching services. We had a few products that we were selling then as well online products. Yeah. Jürgen: Yeah. I remember getting regular newsletters from your partner Jodie and I’ve been following you ever since. I’ve been fascinated because as you say you were running boot camps and one on one training in those days. I’ve been fascinated to watch your business transform into a fully online business which is what I’d like to talk about today because it’s a really fascinating model. David: Yeah, it’s been about a seven year journey really. When we started out we were selling training camps. We started spreading our Big Camp training camps which were around twice a year. To supplement that we had to sell products and provide coaching services, so the coaching services that I was running was a one on one coaching service and it’s where people would sign up for 12 weeks and I’d coach them, deliver a training program to them on a 4 weekly basis. We’d hook up every week to review them, track their data using their data that you’re downloading from their computer. We sold a few products. We had functionality strength training product and we had a few other training products that we sold online. They were physical, they actually were physical products and then we moved to delivering them electronically. Originally they were DVDs so they were like a 12 week training program for building your home base. The biggest problem that I had with that was that the Boot Camps obviously came along twice every year. It was good the fact that we would usually pre-sell them so we had all this cash in our bank account that was gaining interest, so that was fantastic and the coaching stuff was a real nurture-type business model which was awesome. It wasn’t a hunting model, but the problem with the coaching stuff is that – it’s very time consuming doing one on one coaching, writing programs. The other thing is that I could only coach a maximum of 24 people at any one time. Otherwise my quality of service would diminish with that. That’s why to keep that cash flow going we had to develop training products which were based on our experience with coaching. We put together these 12 week training programs that people could purchase. The problem with that is it’s a really hunter sort of model. You don’t really, back into the nurture model, you’re not in this reoccurring model. You’re into a sort of sales model where you’re hunting for the next sale. While the membership was good for the coaching thing, then on-going revenue from a membership-based model was really good, I couldn’t leverage it. The next step from that was to go into a full blown, totally commit to a membership model where we deliver the training services using a monthly membership model. We use that membership area as a way to deliver those training programs. Basically what we did was, we converted our 12 week training programs into delivering them online, so instead of buying a one off product, we actually had that as a product where we would provide basic sort of coaching as well as the delivery of their product through a drip feed system. It’s been a big journey and I suppose for me the biggest thing was it’s been a real experiment around, I wanted to produce an online business that I could run anywhere in the world and deliver a coaching service to anybody in the world. That was the first thing. Where I would do that with my coaching, that one on one model. Problem was that it wasn’t leveraged, so the next thing was can we leverage that? What can I do to leverage that model? The membership area has really been the way we’ve been able to deliver that. It’s taken seven years to develop it. A lot of the technology that we used to deploy it wasn’t available seven years ago. That’s the fantastic thing about IT is that it’s just moving so fast. The technology that we use, we couldn’t deliver the stuff seven years ago. Technology wasn’t available to do that. The products have only been matured in the last couple of years to be able to do what we’re doing. It’s fascinating. We really love using technology to leverage our business. Yeah. Jürgen: Yeah. That’s a wonderful story and like I say, I’ve sort of followed a little bit from the periphery, but I’m just looking at the website over here and noticed that you’ve got international phone numbers and addresses, so being able to deliver the services online, in particular the one to many, opens up the world for you, doesn’t it? You’re not limited to … Like you say because you’re quite remote in where you’re living right now and you’ve made that choice because you’ve been free to – you can run the business from wherever you want. David: Yeah, yeah. We are seriously looking at buying property in Europe so we can stay there during summer – their summer, our winter. Mansfield gets pretty cold, so it gives us options for that. Running a business that’s not geographically dependent is really important. That’s one of the big things around a lot of businesses that are structured today is that really you take their business location, drop a pin on a map where that is and then they’re clients that they can access are really only within maybe 20 kilometers of that radius. That’s a really big limiter. By having a business model where you can deliver good quality services online to anybody in the world from anywhere in the world, really it offers a huge market to you. It’s not uncommon. I coach a lot of people, like for example when I moved to Mansfield, coaching local people here in Mansfield was not part of our business model. We weren’t even interested in doing it. Although we have picked up a few clients that do some altitude training in our training studio and stuff, that really wasn’t our tip. We didn’t have any of the locals as part of the business model for moving here from Mansfield. It was basically what we do to leverage America and UK. Those are really our growth markets. The great thing about that is that because cycling is a bit seasonal, we pick up a lot of the recreational riders during the summer here in Australia, but during winter they kind of drop off a little bit. We certainly pick up a lot of people in Perth and Queensland during winter because the weather is better there, but things sort of drop of in Melbourne, Tasmania, Canberra during winter because it’s a little bit cooler. It’s nice to be able to tap into the international markets overseas in the northern hemisphere and take advantage of their summer. Jürgen: That’s a great point, yeah because it removes all the seasonality, doesn’t it? David: Yeah, totally. The great thing about the targeting that we can do with our marketing these days using like Facebook is fantastic. We can target people in states in America with our products. We can also, though we haven’t done it yet, we can actually deploy a website that is American based – based on their location. If they’re hitting our website in America, we can actually have, and this is something that we’ll be working on in the future, is we’ll actually have the transactions in US dollars and the language being delivered in US English. That’s something that we’ll build into our member’s area in the future. At the moment it’s Australian dollars and we use Australian English to deliver our content, but we can certainly geographically deliver that. The marketing is fantastic. Never, I’m really excited actually because never in the history of marketing can you actually segment and deliver advertisements to real target markets so cheaply. Jürgen: It’s great, isn’t it? David: It’s just fantastic. It really opens up, for a business like myself, it just opens up huge amounts of opportunities and we’re being very successful with our Facebook marketing, our targeted Facebook marketing and making sure that our campaigns are customized and that language is specific to the area. So, really good. Jürgen: Is that the main source of your new leads? Facebook advertising? David: Yeah, we do a couple of things. One is that we advertise through Facebook. The other one is that we partner with event organizers, so for example we do a lot of work with Bosco Network around their events here in Australia. They’re at some big events like the Peaks Challenge Series and their great Victorian bike ride and Around the Bay. We partner with those people. We do a lot more partnering in the future. Partnering is really good because it opens up their databases to our database. We have a basic sort of opt in that we deliver free content to their members to help them prepare for the event. It’s really a win win opportunity because the event partners that we work with, they’re looking for ways that they can make sure that their members have a really good experience at their event so they walk away from it going, “That was fantastic.” To do that they need to be prepared for especially the really big events like the Peaks Challenge Series, a 230 kilometer ride with lots of, over 4,000 vertical meters. It’s something that takes you the average rider somewhere between 13, sorry, somewhere around 11 to 12 hours to complete. Obviously you need to prepare for it. 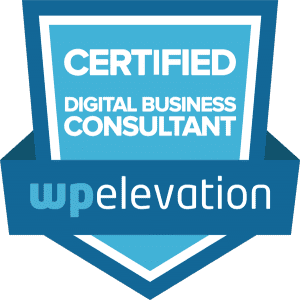 For us helping deliver the training content to those partners in a free way, we pick up a whole lot of prospects that we then work on converting. Obviously not all of them convert, but we get a good percentage of them converting into the training products that we offer because they understand that it helps them prepare for the events. It’s a real win win for us and the partners that we partner with because their clients get a really good experience because they’re prepared for the event and we deliver that content to them. Sorry? Jürgen: How’s the structure of your content or the structure of the products that you offer or the levels of membership? How is that set up? David: Okay, so how that works is that for example we’ll provide a high level free training program and then also training tips leading up to the event to our partners in exchange for their email address. A person, the partner will have an event and I’ll say click on this link for your training material. That link will go to a landing page where they subscribe to our training material. We deliver them, as soon as they sign up, a high level getting started training package that includes a documents and videos. It’s quite comprehensive and of great value to them. It’s all delivered for free in exchange for their email address. Then we just progressively deliver content through that so there’s a getting started and there’s nutrition and hydration. Then we provide them with some training update information. A little bit later on, closer to the event we provide them with information around preparing for the actual day. Making sure that they’ve got the right equipment on the day, clothing, those sorts of things, you know. Then the marketing is pretty simple – based on that we look at their pain points around obviously the high level training program. It gives them a bit of an overview of what they need to do, but we don’t go into the detail of it. For them, if they’re really serious and they want to take it a step further and they’re interested in paying for a service, then our coaching services align really, really well into that. We provide them with a 24 week training program that has a detailed training program. Coaching, they get unlimited access to me as a coach via email. They get access to all our video content, our structured 12 or 24 week training programs and also they get access to our forum where a whole lot of people that are training for the event get to talk about it, about equipment and preparation and nutrition and all that sort of stuff. It’s a real good community building into the event and a lot of people get a lot of value out of that. That’s how that sort of structure base can work. It’s just a real simple sort of model. There’s obviously a lot of technology behind delivering all of that and the products that we use to do that are quite complex, but the experience to the end user is fantastic. Jürgen: Yeah. I want to come back to community in a moment, but so that’s a monthly subscription then and they get access to all the different training programs? David: Yeah, yeah. The training programs are delivered to them. That’s the great thing about having a membership here is we obviously, they unlock their content as they go, so they can obviously be on one training program at a time. We might have training programs specific for events like for example the Peaks Challenge full script, so we’ve got a 24 week training program for that event. They can enter that program at any time. We have 24. We originally had a 12 week training program leading up to that event, but we had a lot of people that were wanting training before that, so we used to put them on the fitness builder or the hill climbing training program which is a 12 week training program leading into it and then we’re 12 weeks out from the event we’d switch them onto it. Now because people have been asking for it, we’ve got a 24 week training program leading into it. Yeah, leading into them. Like I say, people can step into those training programs. Once they’ve finished the event we get a reasonably good percentage of those people hanging around going onto to say like a maintainer program, which we have, which is just a basic four to six hour a week training program just to keep their fitness going through winter. Or they may want to continue with their training and go onto like a hill climber training program or racing training program if they’re doing racing or a top training program. We’ve got specific training programs that are generic, that are specific for various disciplines within cycling. We’ve got fitness building, hill climbing, road racing, criterion racing, time trailer as well. We’re building those out all the time. Jürgen: Yeah, specific to the different audience. It’s a great model because I really like the way, there’s a lot of value up front that’s free without giving away the farm if you like, for the partners and then those people that see the value you have in that and you have them in your sales funnel and they see the opportunities to actually step it up another level. David: Yeah. Look, I think people, we get really good responses from people. They really love the product. We spent a lot of time on making the product really easy to use. It was a bit of an interesting story moving to it because I was working with a business coach and he said, “Oh, your model will be awesome for going to a member site.” Originally we did kind of have a fairly low key membership site product, but it only had information and it was like this is how you train and this is how you get further. This is how you do nutrition and stuff like that, but it didn’t actually have any training programs in it. What we found is that we actually had one of our clients, “Oh, I just signed up for your member’s area, really looking forward to doing the training.” I’m going oh, hey. Wait a minute. There’s actually no training component within the member’s area. When we added it – it was like adding fuel, I’m sorry, petrol to a fire. It was like whoosh! Suddenly it became really, really successful and we though oh wow. We’re onto this. This is amazing. We really stitched it together to get it up and going just to try it about. It just took off. So, we ran it for about two or three months, got all the learnings out of it and then we released our brand new members area about three weeks ago, which has a really, really slick interface. A lot easier to use. We really worked heavily on the usability of it, made sure it’s totally compatible with mobile devices and stuff. They can run it on a mobile device. They can download the training videos, download all the content and all the stuff unlocks. The other thing is that when you go to the member’s area, what I don’t want to have happen is to spend the rest of my life doing password resets for people. We’ve got this one click access so when they get the training program for the week, the email that they get that’s sent out to them, the link in it and all the emails that we send to them about updates to the training program and stuff happens what we call a one click access. When they click on the link it automatically logs them into the main member’s area. They actually don’t need to put their passwords details. Jürgen: It gives them a unique link. Yeah. We built that into the automation functionality of the product to reduce the amount of time that I spend on the business. That’s really the great thing is that I used to have sleepless nights around where’s the money going to come from. You know? It was like, there in the dark, I’ve got to create a new campaign, I’ve got to create a new sales thing to promote. I’ve got to sit down and email this week to promote something so that I can sell it. Then you’re on the hunter model. You’re out there hunting every day. Whereas in the nurture model we’ve got all these members that are just paying us money week on week on week on months on months on months. As you build up this core body of people it’s like suddenly I don’t have the stress over the top of my head going where’s that money going to come from because I know that I’ve got this recurring income coming in. Nowadays I spend about an hour a day during the workweek actually looking after my clients, working on the business and the rest of the time I can spend time with my wife or going out for a bike ride or working on the business. Developing new sales funnels. Jürgen: Providing new products and things. David: New products and stuff. It’s really freaked me out from an aspect of the fact that I’m not so stressed out about where is the money coming from and also that it’s given me a whole lot more free time. It’s really leveraged, really leveraged. They’ve made it super efficient. That’s really what we’ve been working on in automation is being able to sort out what the issues are around our current product, resolving that through automation and then really making it a real simple model. I’m really, really happy with where it’s at the moment. Jürgen: Yeah. That’s fantastic. What keeps you awake these days then? David: Not a lot actually. David: I’m in a really comfortable space. Certainly since we started the business for the last seven years, it’s really been a bit of a roller coaster ride. We’ve had some really big learning experiences. One we had with one of the ways I thought oh, we can leverage our business by adding staff to our business. There was a point where we were building up. We had about five coaches working for us and the problem with that model was the relationship that the client had was with the coach. It wasn’t with myself – because it was a one on one relationship. We had a few issues with that. One is that the client had the relationship with the coach rather than our company, so they sort of thought well, why am I paying Cycling Inform when I can go directly to this coach to deliver it. We had that problem. The other problem that we had, the coach was out, people saw that the coach was doing really good work with these people so they wanted to deal with the coach directly rather than us. You know, we lost that brand. The other major problem with that was that all of those coaches ended setting up in competition with us at some point. It’s like here we are, we’re training these guys up to basically set up in competition to us. It was a model that we didn’t really want to pursue, so we made the decision to fire all our coaches and go back to redefining our model and really the member’s area was what fell out of that. How do we leverage this one to one model without involving anybody else? We’re taking back the control over our product and our brand. It really solved that problem for us as well. Jürgen: Yeah. I wanted to talk a little bit about community. I’ll ask you about community because I was listening to one of your podcasts where you interviewed a lady that was on a training program for I’m not sure, was it Around the Bay or Great Victorian Bike Ride, but her feedback was that first of all she was getting amazing results. I’ll just throw that in here now, from the program, but the thing that fascinated me as well was she talked about the community and how she got onto the forum and how people were encouraging one another, there to improve and so on. How important is that community to the whole model? David: Yeah okay, well let’s step back. Really we define, there’s three needs that a person that we try to deliver to our members here and one is that there are people who just want a training program. They just want something that they can follow that gives them results that’s proven to work. We certainly, we’ve spent seven years developing training programs for people and working on the best way of getting the best results very quickly. That’s the first thing that people – a high percentage of the people that get onto the member’s area is one. Then we’ve got the people that want to find out about how their training works. It’s like – how does the nutrition work? How do we build these programs? How do we manage training load? How do we manage, how do we deal with? It’s like the how to. Those people that want to know a little bit more detail than just having a training program. They want to understand how it works. Our original membership model before we introduced the training programs was just basically that, it was just really an informative sort of product that just told people how to do it rather than actually what to do. All right? There’s those two things. Then the third component is the community. That’s people, some people and not necessarily all of them, people like to have some or all of those components, but some people just want to hang out in an area and get supported in their cycling and talk to other cyclists, like-minded cyclists and feel like they belong to something. We have several types of communities. We have obviously the communities of people that are training for events, so we had 170-odd people that were training for the Peaks Challenge, Falls Creek Training Program last year and this year, early on this year. They were all talking about the events and their training for it and how they’re all going and hooking up with other riders on rides. They love the stories. There was a great thread running throughout the forum around how all of this was going. How people were falling off the wagon or getting back on again. How people were out there doing their training and how people were getting really, really good results out of the success of the coaching program. They find the whole thing really useful, the stakeholder engagement with their partners and those sorts of things. What gear they now are using. The list goes on about what they’re all talking about. You know? We have those communities and then we have the other just sort of general communities. We have communities around racing and we have a community now that talks about racing stuff. Racing tactics and I provide updates. It gives people the opportunity to just … They’re really passionate about cycling and excited about their cycling like we are. They just want to give their ride or race report. Like this weekend I went out to do this ride and it was great and this is my course and here’s my data from Strava. All of that sort of stuff, right? Then we have people, this is my race report. This is what happened in the race. Everybody gets in there and comments on how it went. The community is a really exciting area for people to really engage. That’s one of the big things is that because we don’t have a community, I’m not riding with people physically on the road, people can do this training in isolation to me, but still feel like they’re part of the Cycling Inform community training for a particular event or training towards a particular goal. It’s a way in which they can engage. That engagement is really important for retention in the member’s area. There are some people that are actually not on training programs that just like hanging out in the forum. Reading the comments, because people ask questions about training. What should I do here? I’ve been ill this week or I’ve got this workweek coming up where I can’t train for these days whatever. I provide feedback on that. I provide feedback on power. Anything that anybody asks in the forum. Some people are just jumping on and reading the comments within the forum and seeing what the latest things that have been happening in there. They’re not really even interested in the training programs or any other programs. They just wanted to hang out in the forum. For us, I think the membership area really needs to have at least the first two components. It’s something that you can deliver to them that’s drip feed. That’s really important because that means they’re not getting everything when they sign up. That helps with retention. Obviously one of the issues that we had, once they consumed all the information we had in the member’s area, the member’s area really wasn’t much use to them, so by having a training program or lots of different training programs that they can sign up to and then drip feed into because they can only be on one training program at a time, it means that the retention, we get really good retention. That’s great for anybody that’s working on any consultant-based model. It doesn’t have to be a training model. It can be a consulting-based model where we’re delivering training content over a period of time – having different modules coming off different aspects of whatever current model that you’re working in. Then the community really helps with retention as well because people, when they leave, if they unsubscribe, it’s like suddenly they’re losing this big family. David: This big community, right? They lose contact. We take them off their private Strava account so they can’t see anybody’s Strava data. It’s like oh no. I’m not getting … One of the things that happens when people get onto our Strava, Strava is their whole community in itself and people update their data and suddenly they’re in the cycling community, Cycling Inform community and people that I’ve never heard of before that are not even their friends start commenting on their rides. It’s like, oh wow. Jürgen: Just for those people that aren’t cyclists listening to this podcast, let me explain Strava. Strava is software as a service online where you can upload data from your cycling computer and it also has a social aspect so it’s a little bit like Facebook. You follow other people. The people you cycle with generally and then the people that you have cycled with can comment on each others’ rides, you can see their performance. It has segments so you actually compete. It let’s you know when somebody has beaten your best time for a particular segment. All kinds of things. There’s a whole community around Strava. We have a saying in our cycling group because often somebody will go off and forget to turn their computer on or something will malfunction, so we say well, if it’s not on Strava it didn’t happen. David: Yeah, that’s really, really good. Strava’s … Yeah, Strava is kind of like one of those little, we leverage off the community that Strava has and build it into our community, so it’s a great point for us. That’s really how we’ve worked on that community side of things. I think it’s important to get that engagement happening. We’ve also got an engagement sequence once a person becomes a member, we will send an email out to them every week saying have you had a look at this, have you done that, have you looked at this content. Then we realized that we actually turned off the engagement sequence. We turned it back on again. The engagement sequence is a really powerful to keep people in the loop, to keep them updated on what’s happening in this area and updated on making sure that they felt like they were part of the community and that we’re interested in what’s happening with them. That’s great. I think it’s really exciting. Obviously people really get into it. They love the product and I love hearing the feedback from … One of the things that really motivates me about the product is that I feel like I’m really adding a lot of value to people who are out there. Helping them fast track the whole process of getting fit for events and helping them with their cycling. Because there’s a lot of stuff to learn and there’s a lot of stuff that’s really important and there’s a lot of stuff that’s not really important. Jürgen: Because one of your points are different around the training programs is that the efficiency, so not putting in lots of time or anything, but doing it efficiently so they get the maximum results, right? David: Yeah. That’s something we’ve really worked on because our clients have really demanded it. When we were doing one on one coaching they were obviously paying us good money and they wanted to see results very quickly. We had to develop a program that was not only, they would look at good results quickly, but also sustainable because there’s a lot of programs out there that deliver good results quickly, but they deliver in such a way that the training is not sustainable. Usually after about 12 weeks they are unable to improve anymore. David: That was one of the foundations of our training methodology. Because I’ve coached so many people, I’ve had a lot of experience around what works and what doesn’t work. It’s classic. I love using the whole 80/20 rule, 20% of the stuff that you do will give you 80% of the performance and 80% of the stuff that you do is not going to make any difference whatsoever. It’s important to find out what that 20% is and start doing it. Our training programs are based around that. Jürgen: All right, so if you could wave a magic wand and fix something in the business, what would you do? David: Well, the business is going pretty well for the moment. I’m really happy with where it’s going, but for us, really what we’re working on right now is because we’ve worked so much on building out the member’s area because we know it’s been so fantastically good and it’s a really nice, mature product, we haven’t really spent much time on our front end lead magnets and sales funnel, so if I could wave the magic wand on my business, it was adding a zero to the amount of members that we have. I know how to do that. It’s basically the next focus for me over the next six months is to start building out and refining those and measuring the sales funnels that we develop. While I was over in the states at a big marketing conference, I picked up some fantastic products for helping with our development of our sales funnels and so that’s what we’re going to be focusing on now. To wave a magic wand really all I want to do is add a zero to the amount of customers that we’ve got subscribed to us and I’d be really, really happy with that. I know it’s not going to happen overnight, but we’re certainly got a product now where we can leverage it for that to happen. It’s just a matter of getting the front end of our sales funnels really turning over. Really cranking the handle, as we say. It’s awesome. Jürgen: Yeah. What’s the average kind of time that people stay as a member of the site? David: You know? I’ll wake up at 3:00 in the morning or whatever and I have all this stuff that will just happen in my head. I’ll just get up and I’ll start mapping it down. About three mornings ago it was like it was the metrics morning. There was a whole new metrics I wanted to create including what’s the lifetime value of our client. That’s really important for a couple of things. One is to measure the success of our membership area to make sure that people are staying in there for a reasonable amount of time. That that time, the amount of time that they’re staying in there is whatever it is or that we’re able to increase it. If it starts decreasing then we’ve obviously got an issue with engagement that we need to address. The other thing I said is it gives us the ability to be able to work out what the lifetime value of our client is based on a conversion, so as a person is coming in we really need to start and this will be worked out with our sales funnel and the metrics is you work out based on the amount of prospects coming in to our sales funnels, what’s the percentage of our conversions? Then what’s the lifetime value of that client? Once we’ve got those figures then we can work out how much it costs for us to get a client and what their value to us is. For example, if we convert maybe 5% of the people that opt in and it costs us X amount of dollars and the lifetime value of our client is Y, then we’d know how much money we could spend on actually giving out that makes sense. I don’t know if I’m explaining it very well, but anyway. Yeah. To answer your question very quickly, no I don’t know what my lifetime value is, but at a guess I would say somewhere between 12 weeks or more generally. I would say three months that we’d have retention for. We want to really back up the curve of what that is because we know that there s a percentage of people that stay for a long period of time. There’s another percentage of people that drop out, go in to it for a month, find out that it’s just really not for them and then drop out of it. There is some, what do they call it? Churn at the front end of it. We’ve got people that come in. It’s not really for them. They find out that actually they’ve got to do something. It’s not a magic wand, that they’ve actually still got to train. Jürgen: You mean I actually have to do something after I’ve watched the video? David: They feel comfortable. They’ve got the product to be able to do the training or figure out, but it’s actually they still miss that whole stick about activating it. I know everybody’s done it, we’ve bought something, thought it was a good idea at the time, but I haven’t actually used it. Whereas in the member’s area it is something that obviously if they’re not training or they’re not getting some value out of it then … It’s only a percentage of people that are like that, so it’s important to understand that with the membership area it’s not a one fix solution to meet the needs of everybody. It’s only a specific type of person that’s obviously active enough to actually go out and use the information, training plans or whatever to do their training. It’s really useful. There are people like I say that just they’ll buy that product and they’ll go … Anyway, we’ve got to work out what the bulk of it is with the metrics and then for those people that drop out or those people that are not interested in member’s area, then we’ll actually put them into a nurture program, a nurture sequence that finds out whether they’re interested in a product that they want to buy. Jürgen: They might register in a year’s time for another event or something. David: They could register for an event. Member’s area, they could buy just a one off product, a 12 week training program that’s just electronically delivered to them as a complete product, but they can download it electronically. David: Yeah. It doesn’t involve any commitment. Jürgen: Yeah. I think that’s a really important point around understanding the lifetime value of a client and then that does give you the ability to say, “Well, here’s how much I can spend on acquiring new clients because the average lifetime value is $1,000 or whatever it might be. I know I can spend 100 and get a 10 to one return. A lot of people look at what am I selling a client and then they look at a one off sale and they don’t consider that that client over a lifetime might stay with them 10 years and buy 20 products or if it’s a membership site, they might be with you for one of two years. David: Yeah, exactly. Well, we certainly have people, I know with my coaching clients, we would have clients that I coached for five years. We had other clients that I knew were interested in 12 weeks, so the product that we were delivering was the site. It’s no different between somebody who hung around for five years to the delivery of the product is no different. It’s just people are different. It’s important to understand the markets and the motivations and the psychology of the people that you’re dealing with and making sure, for example in this are making sure we’re delivering high training program. We’re delivering information about how to train and we’ve got a community in the forum. Making sure we deliver useful things. With the product delivery, we’ve got a membership product plus we’ve got a product product. We’ll be developing all of that stuff in the near future. Yeah, the future is looking really good. I’m really excited about it. Jürgen: Get your advice on those things. It’s designed to help our audience who are primarily innovators and leaders in their field of endeavor to learn from your experience. What do you say is the number one thing anyone needs to do to be more innovative? David: I think, that’s a really interesting question. What do they need to do to be more innovative? I think I’m naturally quite innovative. I’m just one of these people that are always thinking about how I can do things better. I think part of that has got to do with asking the right questions of yourself because I know that with people, if you start asking the wrong questions, you know your mind is very creative. It can always come up with an answer to whatever question you ask, so it’s important to ask the right question. I think the question that needs to be asked of yourself is how can I do this better instead of like for example we had a lot of support tickets around password resets, so it’s like instead of having to deal with that problem on a day in and day out, it’s like how can I make this more efficient for myself? How can I automate this or solve this problem so we don’t have it anymore? I think for me it’s about asking the right questions rather than going you know, this is just a big drama. How can I resolve it? Does that sort of answer your question? I don’t know. Jürgen: Yeah, yeah. Essentially challenging yourself to do things better, but asking the right questions. It comes back to the point you were making earlier with the 80/20 rule with training. It sort of applies here as well, isn’t it? David: Yeah. It’s always important. For me it’s like with our business, especially our business has kind of gone like this to this and part of that has got to do with looking at what’s really working rather than sweating with the details. I know Apple did it themselves. I like using Apple as an analogy where Jobs came back. Apple was doing a lot of stuff and Steve Jobs came back into the company and he basically, he said, “Okay, we’re just going to focus on one or two things.” They dropped a lot of their products. What they did do was what they did really well was produce the iPod. Who would have thought. You know? Then they produced their iPhone. I mean the story is legendary, but what they basically did was just go whatever we’re going to do … I think it’s really important I don’t know whether it’s about innovation, but for me the thing is that you can either be the hero or the seagull, right? The hero is a person or the business that is the number one business in their field. I think it’s always important to strive for that. To make sure that what you’re delivering is unique and that it’s really hard for the other competitors to get into that space. Be the number one at it. Be the best that you can possibly be at doing that. Forget about all the stuff that you do ordinary. Just focus on doing something awesomely well. Jürgen: Yeah. That’s fantastic advice and narrow in and get rid of all the other stuff. Narrow in and be the best at that. David: Just be the best at that. You know because the seagull, they’re just flying around waiting for the scraps. That was something I learned because I grew up in Wellington. We had really small market. I think it was about, I don’t know, don’t quote me on this number, but maybe about 300,000 people that live in Wellington. What I realized, I was running a photography business in Wellington and what I realized was that there were two or three photographers that did exceptionally well because they were well known established businesses. They did exceptionally well in their specific field, so there was one for wedding photography, there was one for corporate photography, there was one for baby photography. All right? Because they did that really well. They’re trying to enter into that market because it wasn’t really a lot of the market there. Trying to enter into that market you really were dealing with the scraps. It was just a real struggle. Those people had it sussed. They had a good business, well known and to enter into that you had to really do something really, really awesomely. So much better than them to break into that. Otherwise you were just one of the seagulls flying around waiting for scraps. You were just picking up the scraps. These guys, these guys were 80/20-ing it. They were taking up 80% of the business and oh the 20, less the 50 or 20% was being distributed across all these other, not really flaky, but all these other photographers in the industry trying to pick up what was left. Be the best. Be the best. Try to be number one. Yeah. Jürgen: Great advice. What’s the best thing you’ve done to develop new products or new ideas? David: Oh, best thing I’ve done. Jürgen: Apart from staying awake at night which is the entrepreneur’s curse, I think. David: You know, waking up at 3:00 in the morning going, “Oh yeah. I’ve finally got an answer for that problem that’s been driving me nuts.” Just ask me the question again because I’ve just forgotten in. Jürgen: The best thing you’ve done to develop new ideas and products. It was really scary. The first couple of months I’m going, “Oh my God. Where is all this money going to come from?” I just dropped everything that I’d been doing and just focusing on this. It was like I saw, as soon as I implemented that we had the worst two months that we ever had. Then like three months later we suddenly had the best month we’ve ever had. It was a bit scary, but the thing is sometimes it’s important to get out of your comfort zone and just really stretch yourself and do something that’s kind of pretty scary. I know there’s some quotes around, “Do something really scary every day.” Right? I think that for me that was really the thing that got me over that. It was like this guy was really supportive that I was working around. Just don’t worry about it. It’s going to happen for you. Awesome things will happen, you’ve just got to do this. Just stay confident and just drive through it. Consequently on the other side of it you go, “Oh my God. It was just, it was scary for a few months,” but now that we’re on the other side of it’s like oh, it’s just so blissfully awesome. Yeah, I think that pretty much answers your question. Jürgen: Yeah, yeah. That’s good. Get a coach and get out of your comfort zone. David: Yeah. Get a coach and get out of your comfort zone. Yup. Jürgen: Excellent. What’s your favorite tool or system for innovation? David: Okay. Well, we bought a product called Infusionsoft. We use it to manage basically everything. We use it to manage our member’s area, all our marketing, our automation, our business. We found it to be a fantastic product. It was a bit expensive when we first got into it, where we were at in our business. I knew that it was a really powerful tool. The company itself gets a lot of backing. There’s a few other products that are similar to it, Ontraport and those sorts of things, but Infusionsoft is really the gold standard. I think it’s important to work with suppliers and products when you’re certainly putting together your business. To work with the best that you can find. If it costs you a little bit more, then kind of just go with it because you know that your business is going to grow into it rather than your business is going to grow out of it. Jürgen: That’s really great advice there. Like you say, get the best you can buy and look to grow into it. Don’t get something that you’ll outgrow fairly quickly if you have success. David: We’ve been using WooCommerce. We’re moving off of it to the Infusionsoft Gateway. WooCommerce is, it’s a great product, but it’s just not scalable for us anymore. We use Xero for our accounting which is a fantastic product. Those are really the two big products. We use WordPress as a platform for web development. If you look at those products WordPress is probably the leading website development platform on the planet at the moment. Xero is certainly for small businesses, one of the leading financial packages and Infusionsoft is by far for small businesses the leading business automation/marketing product currently available to us. I think that’s really important. Those are the main products that we use. I use Outlook for my email. We use Outlook Office 365. David: Yeah. Yup, so we have a server which sits in the laundry that we connect to for storage. We just run computer software – that’s all. We don’t have a server running for management or email or anything like that. It’s all Cloud service now. I was really reluctant to move into the Cloud service and the high paying subscriptions going out. Now everything we pay for is subscription-based. David: Because we want the best. We want something reliable. I don’t want to manage a server. I don’t want to manage WordPress. We have our WordPress hosted on WP Engine. It’s managed by WP Curve. Jürgen: You’re talking all the services that I’d endorse too, so InfusionSoft, WP Engine, WordPress, WP Curve. Yeah. Right. Jürgen: Where do you store your videos and – that online? David: We use Wistia a little bit. I’ll use Wistia for our sales videos. We don’t use Wistia for all our videos because we’re only interested in really getting stats for our sales videos, to find out where people are dropping in and stuff and where they’re relevant. We use Vimeo for all our member’s area content. We don’t really care about the engagement of those videos. We know that they’re, most people are not viewing them online anyway. They’re downloading them onto their mobile devices so they can play them right away. They can train to them. That’s the great thing about video content is it’s like I’m in the room training the person. It replaces that whole one to one. It’s still me running a session to five people, at any one time I’ll have people training to my videos anywhere in the world. I don’t have to be there in the room. Just watch a video. To answer that question, we use Vimeo for delivery because we can lock it up and secure it and we use Wistia for ourselves because we can get statistics on engagement. Jürgen: Excellent. Yeah. What’s the best way to keep a project on track? Or perhaps even keep one of your coaching clients on track? David: … you’ve got a big issue with your project. All right? Part of that has got to do with managing the scope of the project. The thing is that as you get into projects, it’s like “Oh, we could do this or we could do that.” It’s like the first thing is you’ve got to be able to deliver something and get it across the line. One of the biggest issues and one of the greatest downfalls about software development is that there’s so much innovation and so much scope for what you can do with it, it’s just overwhelming. It’s important I think and like we did with our member’s area we kind of just stitched it together to start off with with some pretty basic functionality with the whole idea of getting it out there and seeing what learnings we were going to get from it. Then use that feedback to develop the new member’s area because we knew version one was not going to be perfect. We knew that it was going to be a whole lot of issues with it, but we didn’t know what those issues were going to be. Right? Let’s just get it out there. Rather than second guessing oh what if we … Going down some garden path around developing some functionality or feature or some automation that may not necessarily be required, we just got something together really quickly to market and then just left it really open. Right? Then people started, “Oh, what if you could do this?” Feedback on that and this is not working. How about if you did that? We gathered that feedback and that created our vision too. When it comes to projects I think it’s important just to keep the scope really nice and tight and just deliver the basics. Let your clients decide on what the innovation’s going to be in the next release of that. That’s really been a real powerful one. That means that you’re really 80/20-ing it. You’re actually focusing on the stuff that’s really important to your clients, because at the end of the day that’s who you’re selling to. Jürgen: It’s the lean startup model in some ways, isn’t it? David: Oh yeah. It’s classic lean startup, but it’s very powerful. I’ve got people that just oh, I’ve got to get this perfect. We’ll release stuff and I know it’s a bit bad to do it, but people understand. Some people get a bit frustrated with it, but people love seeing growth happen. Often, off they go, “I remember when I released the first one.” It’s like oh boy. It was just a nightmare. I thought oh, it’s just so much better now. They see that. It means that they’re enthusiastic about what’s going to happen in the future. David: It helps with their retention, so there’s good and bad things. We did lose a few people through some of the issues that we had with the member’s area, but I think in the long term it’s meant that we’ve been able to get something out to market really quickly and we’ve been able to grow the product. Those people that we kind of bit into a little bit, it was just part of that process. I think we did, we’re a lot better off by doing that rather than trying to get it all right at first. Jürgen: All right. The final one for the Buzz is what’s the number one thing anyone can do to differentiate themselves? David: Oh boy, that’s a wildly, wildly question if anyone can do that. What can they do to … Geez. Okay. I think it’s important to look at your market niches and really focus on what you can do differently. I know that’s kind of like oh well. How does that happen? I like to put a bit of a story together around our coaching model. Like most coaches on the planet, whether it be a soccer coach or any other coach, they get a few clients and they have meetings with them physically. They have these one on ones with them. It’s all very time consuming. There’s a limit to what they can deal with. They can only do it in a local community that’s based about 20 kilometers. It’s really starting to think beyond the square. Our coaching model was we’re not going to do that. Our first product that we delivered was remote coaching, so we really successfully delivered. We used to go to the nationals. I’d be like I’ve never met these people in person, but I’ve been coaching them for 12 months leading up to the nationals. I used to go to the nationals and there they were. I’m their trainer. I’ve been coaching them. We’ve never met before, right? We had a Skype conversation, but I never met them physically. We’d come back from the nationals 12, 14 medals from the people that were racing, so we were really, really successful. I think for us, part of that was think outside of the square realm, how can you make your business more leverage-able? How can you involve more people? How can you use emerging technologies to your advantage? Really use the power of the internet and really use the power of automation to leverage your business. For me, it was how can I deliver coaching services to anybody in the world. How do I do that? Ask that question. How can I do that while being anywhere in the world? Again, I’m asking that question. Sometimes it may take years for you to come up with the answers. It may take even if they were to develop this product, it actually took me 10 years. When I came to Australia it took me 10 years to find out what I wanted to do, because I looked at lots of businesses and I ended up deciding on I wanted to have a business around my passion and I wanted to have a business that I could run anywhere in the world and coach anybody. I thought well, cycle coaching is a fantastic model to do, so let’s start with that. Really, there is really nobody doing what we’re doing. There are similarities with some of the other membership areas in cycle coaching, but we’re really competing on a global market. We may be competing with three or four people. Jürgen: That’s right. Yeah, I was just going to say, you focused on a very tight niche, cycle coaching and online cycle coaching and then building a community and a membership product around that. I think as far as I know, one of the other ones that I subscribe to, I don’t subscribe to it, but I bought some CDs back in the days of DVDs. Troy Jacobson? I don’t know if you know. David: Yeah, Troy Jacobson. Yeah, yeah, because Troy had the Spinervals series. Jürgen: That’s right, yeah. He, I think he has a little bit of an online model, but it’s a little different as far as I know. It’s sort of on demand download of one on one. David: Yeah, you know Troy’s an interesting, he’s an interesting example of somebody that’s really stagnant with their innovation. Troy could have taken it a lot further. Troy, because I’ve watched his business model. He had a fantastic business model. He used to sell DVDs through cycling shops, so he had a dealer network model which is great, but the thing was DVDs became a bit old school. He innovated and he decided okay, I’m going to take control of this and deliver it electronically. He dismantled his dealer network because obviously he was going through a wholesaler and a reseller. A wholesaler would import the DVDs into say Australia and he’d dish them out to the cycle shops in Australia. We know that that model is just progressively breaking down because people are just pitching stuff online as a physical product. Now it’s more electronic. He hasn’t created a membership area, really coach Troy could do that quite successfully. He’s already got a lot of the resources for his training products. He really hasn’t taken it to the next step. That’s certainly what we’ve done. He certainly has an online, you actually have kind of like a membership thing and you can download his DVDs and stuff or you can buy them digitally, but he’s always having sales which leads me to believe that he’s just struggling a little bit because there’s no real market distinction around him and maybe some of his videos. Something like that. They don’t really have much of a community behind what they’re doing. I think that’s really the important thing that needs to be established in businesses today. People need to feel like they belong to something. Especially when they’re really passionate about whatever they’re doing. A lot of people that we deal with, they’re business owners or they just love cycling or they’re people that when they go on holiday they don’t want to go to a beach and drink pina coladas. They want to have adventure. Right? They’re pretty motivated, high achiever sort of people and it’s great working with them. That’s the sort of market we’re dealing with. I hope that sort of answers the question. Jürgen: Yeah, yeah, absolutely. Yeah. You’ve given us a hint I think already, but what’s the future for Cycling Inform and for you? David: Yeah, well our primary goal is really building our sales funnels out. We are working on that and just really implementing a lot of stuff, the products, technology that I’ve purchased when I was over in the states quite recently. Really working on the leveraging our model more. We’re working on building out our partner network, so what we’d be doing bicycle network and a few other partners who are really expanding that. We’re looking at doing more stuff and partnering with other event organizers and other people within the industry. It’s really working on the front end because we know we’ve got a fantastic product, so for us it’s just really a matter of working on the front end of our business and promoting it. It’s great if you can put together a great engine that promotes your products. It’s even better if you get other people to promote them for you. We’re putting together an affiliate type of product that’s at a really high level. We’ll be looking at partnering with big event organizers and bike manufacturers. David: Yeah, because yeah. That’s really where we’re taking it to the next level. There’s lots of, we’re obviously building more product within the member’s area. Really leveraging myself more out of the business too. I’m doing coaching within the business but it would be nice to actually isolate myself from that in the future. To design products based around me and I don’t really spend much time working in that because I don’t need to now, but then in the future I’ll probably look at seeing whether I can employ more people to do a lot more of the day to day running of what we’re doing. Especially in the areas around Facebook marketing and content development, video editing, my accounting. All that sort of thing. I don’t really need to do anymore. Jürgen: Fantastic. All right, let’s get onto the competition now. As I said earlier it’s a copy of The Automatic Customer by John Warrilow. He tells the reader what are the secrets to finding that automatic customer and developing a business model such as the one David has described to us today. What we’d like you to do is actually contribute to the discussion here by posting a comment underneath the video and David, what are you looking to learn from our listeners? David: I think there’s two things. One is the pain points around the frustrations in dealing with the day to day business running and looking at ways in which you can leverage yourself out of that. The other one is maybe think about how you can build your product into something that has more of a community around it. Jürgen: Okay. That’s excellent. What are the pain points and frustrations that maybe prevent you or necessitate you to actually get more leverage in your business and the second thing, how can you build a community around that. Jürgen: Great. Leave comments under the video. I’ll get David to come back in a couple of weeks time, look at that and award the prize. Jürgen: Great David. Now what’s the number one piece of advice you’d give anyone that wants to be a leader in their field? David: Think big. I think big. Yup, yup. Just think really big. Jürgen: That’s fantastic. Great. Well all right, this has been absolutely fascinating. I think we’ve gone on for well over an hour already, so I really appreciate the time you’ve spent with us. Where can people reach out and thank you? David: Basically on our website I deal with a lot of emails, so there’s a little contact ask form at the bottom of it. That’s a fantastic place to do it. We do have telephone numbers but we find answering the telephone a bit of a pain, so we don’t try and do that too much. Jürgen: Send an email through the contact form. I know. David: Send an email through the contact form. It’s the best way to get through. That will go through ZenDesk. We use ZenDesk as a HelpDesk System. Another one of our systems that we like. I’m on there during weekdays, I’m on that so it’s the best way to get ahold of me. Jürgen: All right, and I post a link to that underneath the blog post and the video and also to the website and some of the other things that David has got online. Jürgen: Thanks again for spending so much time with us today, David. It’s been a real pleasure to have you on the podcast and I’ll be fascinated to see what happens in the future with Cycling Inform. When I get back from San Francisco and recover fully from this fractured shoulder I might actually get on and sign up for one of your programs so I can get fit again. David: Fantastic. I’ll look forward to working with you. Well, what an fascinating interview full of valuable insight, ideas and lessons for all of us! I hope you enjoyed meeting David as much as I enjoyed interviewing him, and learnt lots from this interview. All the show notes for this episode will be at innovabiz.com.au/davidheatley, that is D-A-V–I-D-H-E-A-T-L-E-Y, all lowercase, all one word, innovabiz.com.au/davidheatley, for all of the links and everything we spoke about in this episode – and there are a lot of resources there for you to look at. Remember, leave your comments underneath the video for your chance to win a copy of “The Automatic Customer” by John Warrilow. Leave your comments and tell David about your pain points and frustrations around a day to day business and the aim of leveraging yourself out of it and secondly about building a community around that business. I’ll get David to swing by in a few weeks’ time and award those prizes. David suggested I interview Christie Hamilton of Benelds, who an amazing small business automation consultancy. So, Christie keep an eye on your Inbox for an invitation from me, for the Innovabuzz Podcast, courtesy of David Heatley! Thank you for listening or viewing the InnovaBuzz podcast. We’d love you to review this podcast, because reviews help us get found and your feedback helps us improve. You can review us at iTunes or Stitcher and while you’re there, please subscribe so you’ll never miss a future episode.